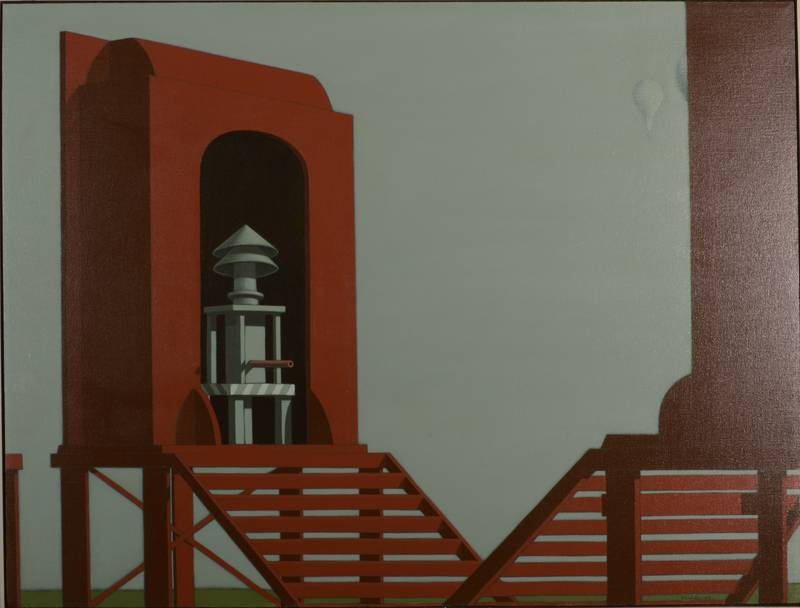 This exhibition highlights the career of Chicago artist Robert Middaugh (1935-2011). Middaugh paintings and assemblages presents us with strange, fantastic structures and machines inhabiting a mysterious, deserted world. Middaugh's work pulls together several strands of thought—Surrealism, Magical Realism, Precisionism—along with his unerring palette of broad, flat color and precisely rendered images. Time stands still in these places; the future and nostalgia coexist. The purpose or logic of these man-made worlds is subverted by an absurd, magical atmosphere. These images teeter between fantasy and dystopia.